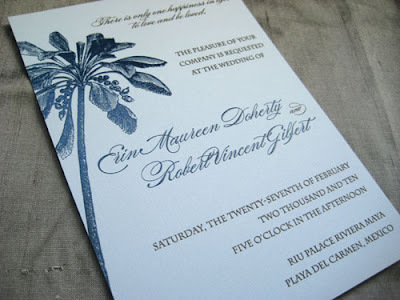 Working with Erin & Robert on their custom wedding invitations was such a pleasure. 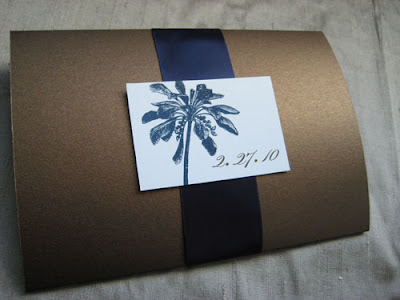 They had a great vision in mind of what they wanted... a palm tree design in navy & chocolate, on light blue paper in a booklet. All of the colors looked great together and the light blue linen added to their wow factor. 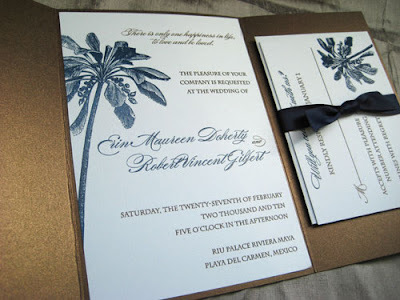 When Rob told me the invitations were a huge hit with their guests, I was thrilled to hear that everyone loved the finished product as much as I did. LOVE these - so elegant! Even though 6+ months from our wedding have passed, we still have our invitation on the fridge! We just loved our invites AND the wedding programs you made to match. 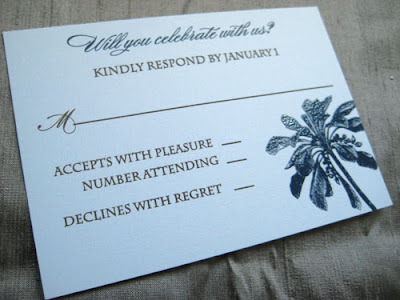 People told us they didn't want to open the invitation because it looked so pretty. 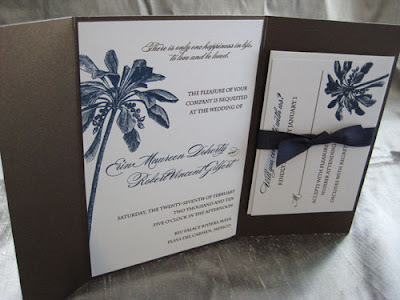 Our goal was to have wedding invitations that were elegant yet stayed with our beach theme. We couldn't find anything at first! 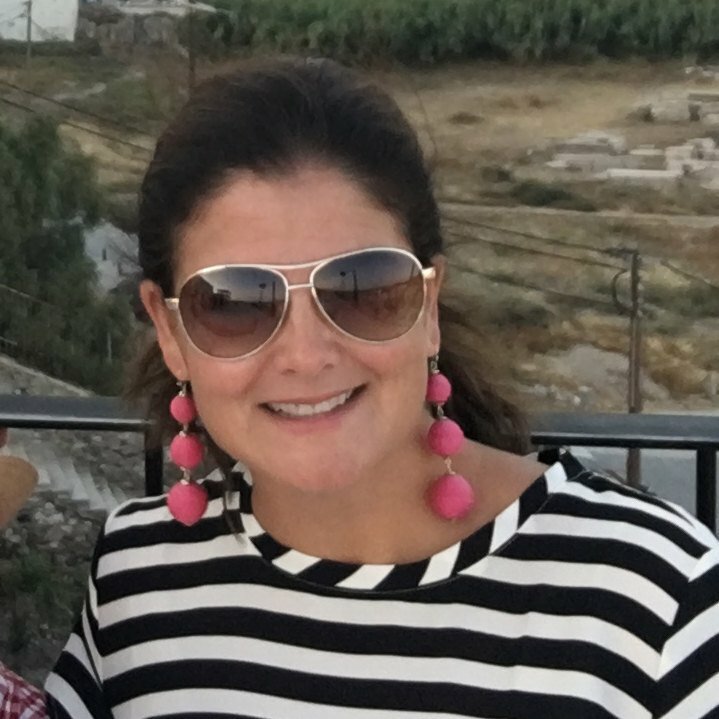 Thank you for making our wedding so unique and for being so flexible in working with our vision.